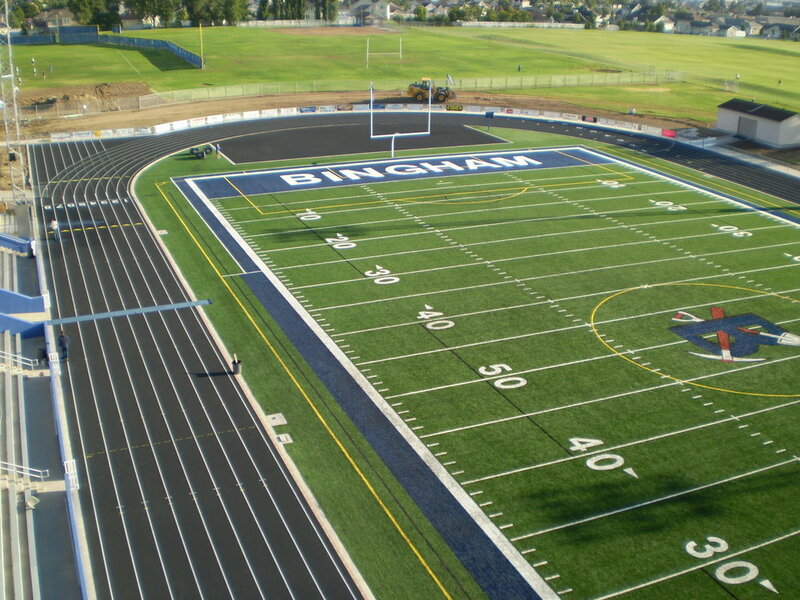 The Bingham High School Athletic Complex project consisted of restructuring an existing parking lot and access roads to encompass the design of the new track and synthetic turf field. The new layout of the football stadium entailed over 20,000 square feet of new sidewalk, two new ADA accessible wheelchair ramps and a 52,000-square-foot newly asphalt paved sports track with Sport Tracks 1000 synthetic surfacing. 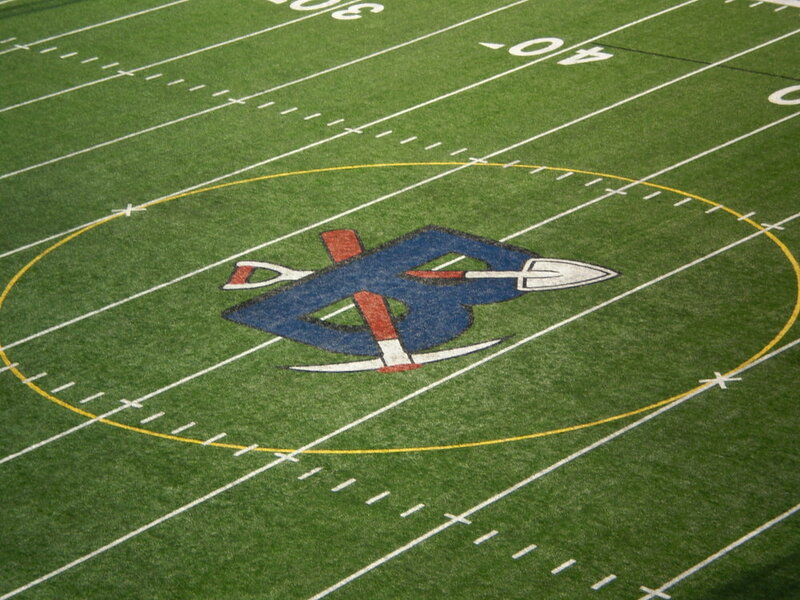 The 90,000+-square-foot synthetic turf field was made up of “Real Grass Axis” turf placed over an airfield drainage system, an impermeable liner and a rock course base. Site utilities including storm drain and stadium lighting had to be rerouted for the new field.